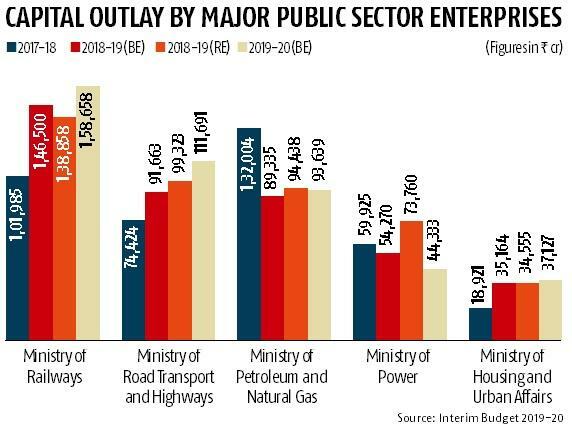 Public sector investments are expected to grow at a much slower pace in 2019-20, as capital outlay by public sector enterprises is expected to remain at almost the same level as 2018-19, while capital spending by the Centre is budgeted to grow at a much slower pace next year. Total capital outlay of public sector enterprises (PSEs) is pegged at Rs 5.69 trillion in FY20 (BE). By comparison, capital expenditure by PSEs is likely to touch Rs 5.7 trillion in 2018-19 (RE), up 20 per cent from Rs 4.76 trillion in FY18. On the other hand, the Centre’s capital outlay (including gross budgetary support) is expected to grow by 6.3 per cent to Rs 3.36 trillion in FY20 (BE), up from Rs 3.16 trillion in FY19 (RE). By comparison, it is projected to grow by 20.3 per cent in FY19. Budgetary support (both equity and loans) extended to PSEs has been pegged at Rs 1.12 trillion in FY20 (BE), marginally higher than Rs 1.05 trillion in FY19 (RE). PSEs are expected to meet the balance through a combination of internal resources and borrowings. The latter, which includes bonds/debentures, ECB and suppliers credit and others, is pegged at Rs 2.19 trillion in FY20, down from Rs 2.5 trillion in FY19 (RE). These numbers do not include spending by the Food Corporation of India (FCI) and funds allocated for recapitalisation of public sector banks. Bulk of capex by public sector companies in the coming year is expected to be driven in sectors such as railways, road, transport and highways, petroleum and natural gas, power and housing and urban affairs. Capital outlay by the Indian Railways is expected to rise to Rs 75,087 crore in FY20 (BE), up from Rs 59,560 crore in FY19 (RE), while Indian Railways finance corporation is expected to spend another Rs 55,471 crore in the next fiscal, marginally higher than Rs 52,297 crore the year before. But while bulk of the spending by the railways is expected to be financed via budgetary support, IRFC is expected to finance its capex through its internal resources. Budget documents show that spending by National Highway Authority of India (NHAI) is pegged to rise to Rs 1.11 trillion in FY20 (BE), up from Rs 99,322 crore in FY19 (BE). Much of this will be financed through bonds as the total budgetary support is pegged at Rs 36,691 crore in FY20 (BE). And while in the past, the NHAI has borrowed from national small savings funds (NSSF), this time there does not appear to be a clear indication of its borrowing programme, though NSSF has earmarked Rs 1.36 trillion for investment in public agencies in the next fiscal. 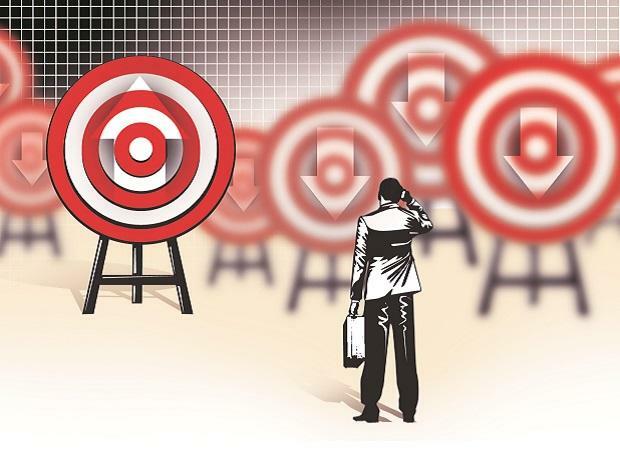 In the petroleum and natural gas sector, companies such as Oil and Natural Gas Corporation, Indian Oil Corporation, Hindustan Petroleum Corporation are expected to account for the bulk of the spending next year. However, investments by public sector companies in this sector have declined from Rs 1.32 trillion in FY18 to Rs 93,639 crore in FY20. In the power sector too, investments by public sector companies are expected to decline to Rs 44,332 crore in FY20, from Rs 59,925 crore in FY18. National Thermal Power Corporation and Power Grid Corporation are likely to account for the bulk of investments in this sector. Capital expenditure by public sector companies in housing and urban affairs has also seen a steady pick up from Rs 18,921 crore in FY18 to Rs 37,126 crore in FY20. This is largely driven by Metro projects and the housing and urban development corporation.